Disclosure: A discount was provided by CabinZero for the purchase of our backpacks in exchange for an honest review. All opinions are 100% my own. This post contains affiliate links. 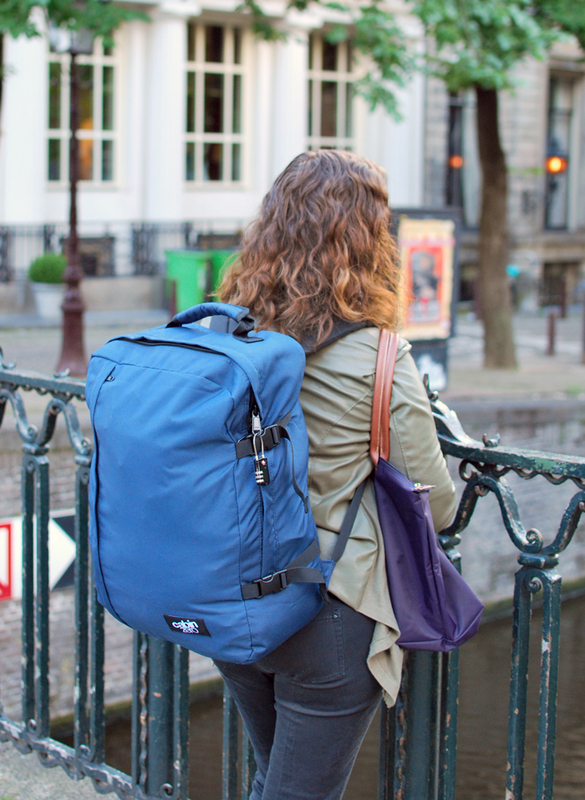 Edit: Since this original post went live, I have also reviewed CabinZero’s 28L backpack! Click here to read my review of the 28L CabinZero bag. 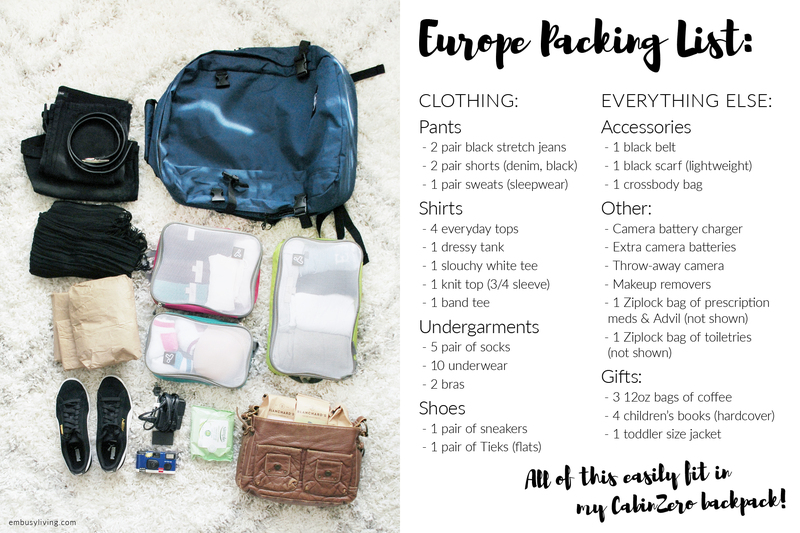 When I tell people that I packed everything I needed for our trip to Europe in one backpack—they’re shocked. Honestly, I’m a little shocked too because I’m historically an over-packer. I used to start shuttling all of my favorite stuffed animals to my parents’ van a week before our family vacations because I wanted to make sure nothing was left behind. (True story.) Now that I’m grown up, I’m still pretty good at packing more than twice the clothes I’ll need. Then we booked our flights to Amsterdam through WOW Airlines and I quickly realized that all of that would have to change. Enter: CabinZero. A little backstory before we move on: WOW Airlines has tight restrictions on luggage and charges fees for carry-ons as well as checked bags. Space really has to be maximized. I also knew that we were planning a detour to Belgium during our trip and I was already dreading trying to drag a suitcase behind me through train stations and across cobbled city streets. One day we decided to stop by REI to look into real “backpacker” backpacks, but left empty-handed when we decided the price tags were a bit too steep for such a short trip. Would we really need a $250 backpack for a ten day trip? I came across CabinZero’s bags when searching for luggage ideas online and immediately felt like I’d found the solution to my packing problems. Even though their bags hold up to 44 liters (around 11 gallons) they still easily fit within airlines’ overhead luggage restrictions. They’re also priced right at £50-£65 (USD exchange rate varies). 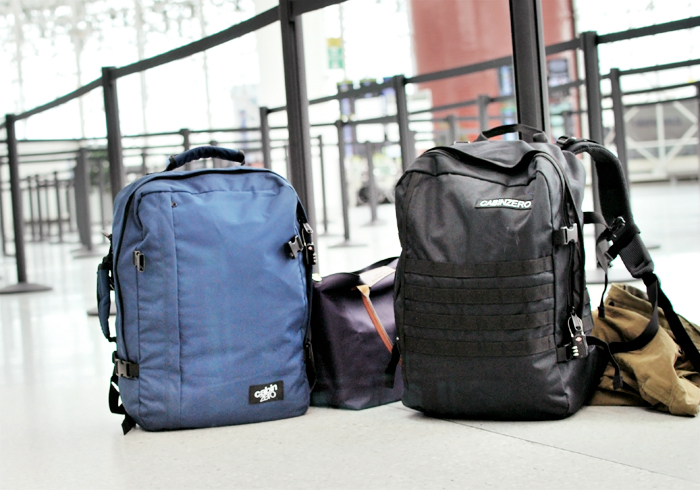 Dan and I spent a while clicking through their site, trying to decide which bag we each wanted in which color, eventually deciding on a Classic 44L Cabin Bag in Navy for me and the Military 44L Cabin Bag in Black for Dan. Then came the tough part: deciding what to take in one backpack for ten days. I started by weighing all of the gifts for our friends and dividing that weight between the two of us. WOW only allows up to 26lbs for their “extra weight” carry-ons and up to 44lbs for a checked bag. We purchased one of each for our trip, allowing us to carry my Longchamp as one free carry-on full of in-flight essentials and putting the more heavy items and and liquids into the checked backpack. In the end, even though both of our CabinZero backpacks were packed to the brim, neither of them weighed more than around 20 pounds. (AKA, we could have saved a lot of money by not checking the second backpack, but then we couldn’t have carried on my purse the way we did. #travelproblems) We lucked out by being able to do laundry halfway through our trip (before we left Di’s) and knowing so beforehand helped ease my mind when seeing just how little I planned to take. The photo above doesn’t even show everything I fit into my CabinZero bag. I also added my small makeup bag (around 5″x7″x2″), a ziplock of medications I wanted accessible for the flight, and a 10″ cardboard poster tube (in case I purchased a print to bring home). Also not shown are my Tieks, which I wore in-flight. The gifts are shown wrapped in butcher paper. I had plenty of room to add snacks to space at the top during our time in airports and train stations, and souvenirs replaced the gifts and coffee on the way home. I carried my wallet, digital camera, passport, iPod, tablet, headphones, S’well water bottle, and a few Clif bars in my Longchamp. Now that our trip is over, I can confidently say that our CabinZero backpacks were one of the best purchases we made for this adventure. They fit everything we needed, were never too heavy, and were easy to carry on planes, trains, trams, and walks through the city. The only issue I had with carrying our things this way was having to take everything out of them at our destinations. While I’m used to easily accessing my clothes by simply flipping up the top of my suitcase, having to dig for specific packing cubes when we arrived resulted in us eventually having them all piled on top of our bags for easier access. This still beat dragging suitcases down the street or hauling them up and down stairs in train stations, and any backpack would have required unpacking. I also think I would choose a different style bag if I could go back and do it again. While our bags were the same when it came to pockets and padding, Dan’s military-style bag came with sternum and waist straps that I envied after trading with him for a while. I also liked that his had straps up top that would pull the bag closer to your shoulders if needed. That little extra support went a long way, and only cost $20 more. So if you’re looking for a great carry-on sized travel backpack, grab a military-style CabinZero bag and travel on! 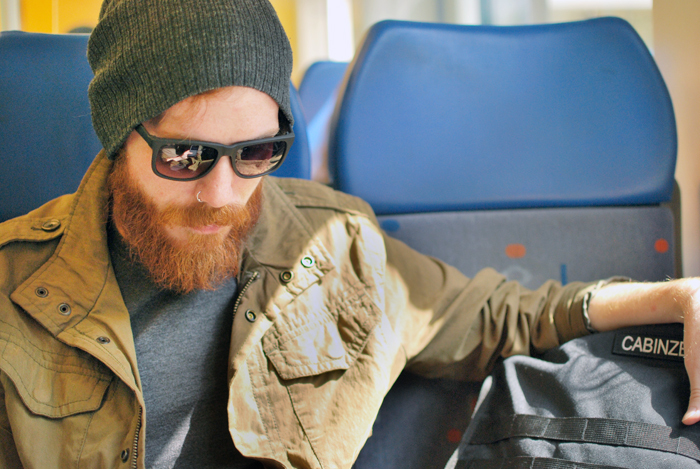 Click here to find the perfect CabinZero bag for your upcoming travels. Thank you, readers, for allowing me to share this review with you. As always, opinions are all my own. I would never share any product or company on my blog that I wouldn’t stand behind 100%. Integrity is everything. Great post!! I have been loving my Tom Bihn backpack that I bought for the trip to Cambodia this summer. 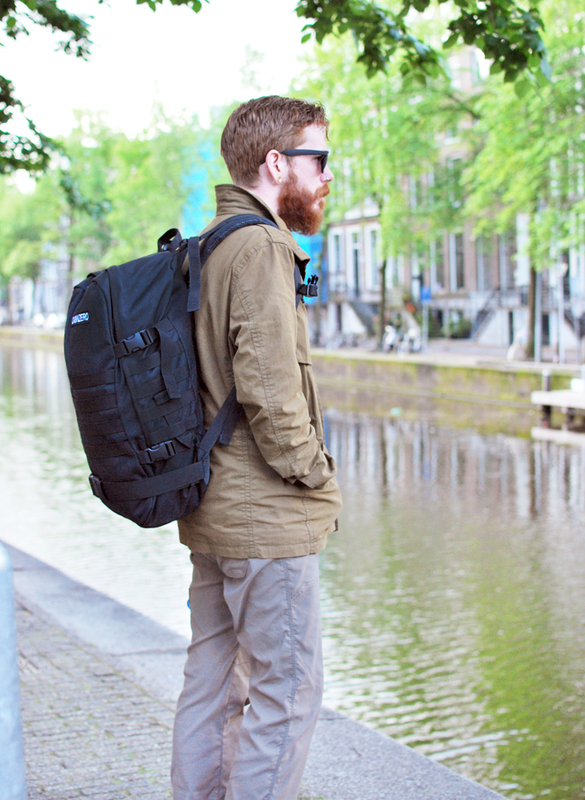 The best part about it is that it zips like a regular suitcase, not a backpack. Thanks Sydni! I haven’t seen the Tom Bihn ones, but apparently they’re popular! My CabinZero zipped down really far on each side, so it wasn’t really difficult to get things in and out of…I think it was just the aspect of using a backpack and the packing cubes at all that was so different for me. I can’t wait for your Cambodia posts! Wow, I can’t believe you filled all that in a backpack…what an awesome product! Right!? And had room to spare really. I was impressed. I actually ended up not even wearing a couple of the tops, so I imagine I’ll learn to minimize even more for next time. Those look awesome! We used the Osprey Porter. Backpacks are definitely the way to go in Europe. On my first trip I lugged around a HUGE rolling suitcase. It was an awful experience and after banging it around for a month I ended up having to throw it away when I got home. Amen to that! The first time I went to Di’s I loaded down a huge roller with so much stuff I couldn’t lift it into the back of their car and actually ended up overweight on the flight back. (I ended up with 6lbs in my handbag!) It was ridiculous because I didn’t use/wear half of it, and it was also only a 10 day trip! Ha! I love this post! (I have a weird obsession with packing lists, lol.) These look like really great travel backpacks. I got a Tom Bihn backpack a few months back and it totally showed me that their are other awesome options out there besides forking out mad cash at an REI. Glad y’all found a solution that worked for you, too! What brand are your packing cubes? The packing cubes…I’m at work right now but I’ll find you a brand when I get home. I bought them at TJ Maxx though and it was 3 (different sizes) for $14. I bought one set over a year ago in CA, then went back for more this past May here in VA and ended up with the exact same set again, so maybe you could find them at yours! 3 for each of us worked perfectly. I think I learned some valuable packing lessons on this trip haha. I hope I will be better from now on. These bags rock! I’ve already used them for a weekend at my parents’ and to go down to Roanoke. I love the Samui Blue one!